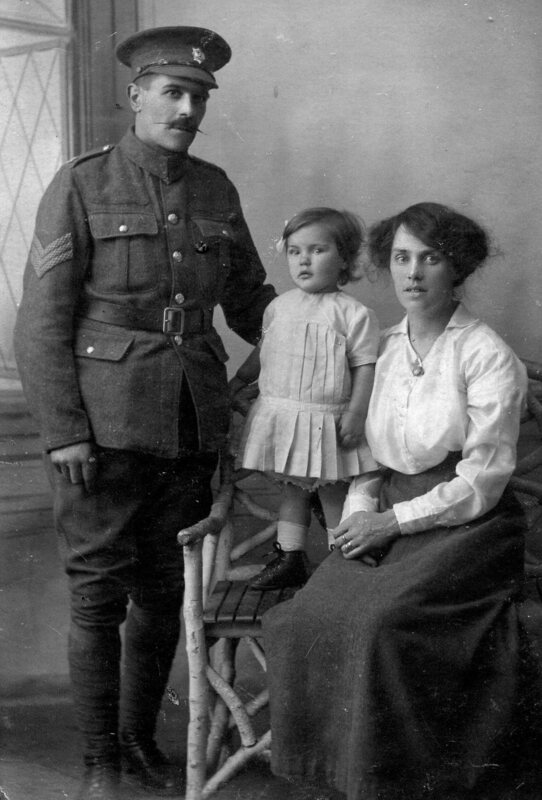 Photo on left – My Grandfather with his wife and daughter. 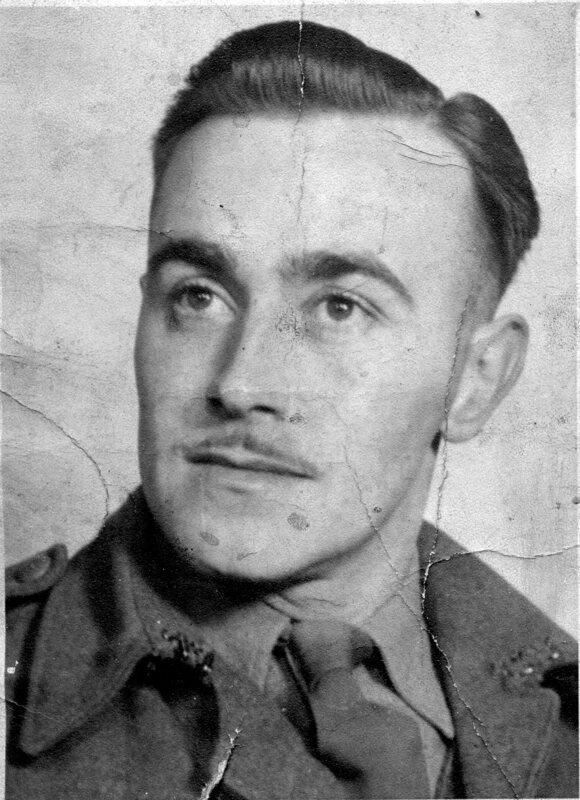 Photo on right – His son, my uncle. Both British Army – WW1 and WW2. in stinking mud, nightmares and hate. and reading by winter fires. or burned alive in oily seas. while the sky concussed and screamed. and torture in our world. and their demonic dreams of power. 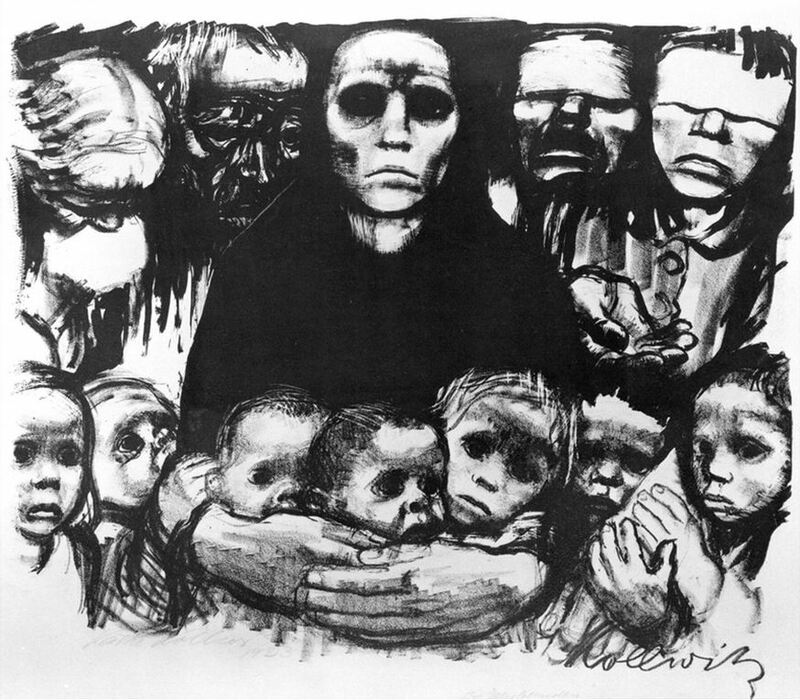 The Survivors by Kathe Kollwitz – lithograph. 1923. You have made your battle ground. 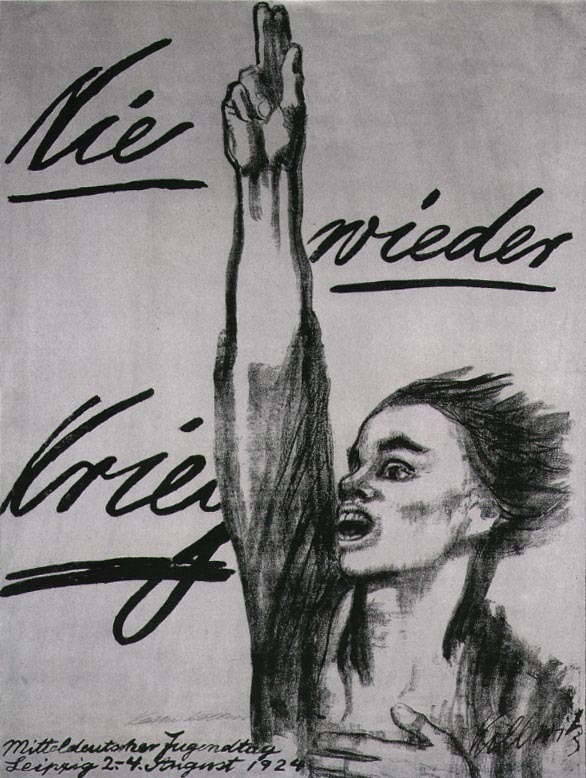 No More War by Kathe Kollwitz – lithograph, 1924.